Artist. Icon. Pioneer. Leader. Mentor. Teacher. Ms. 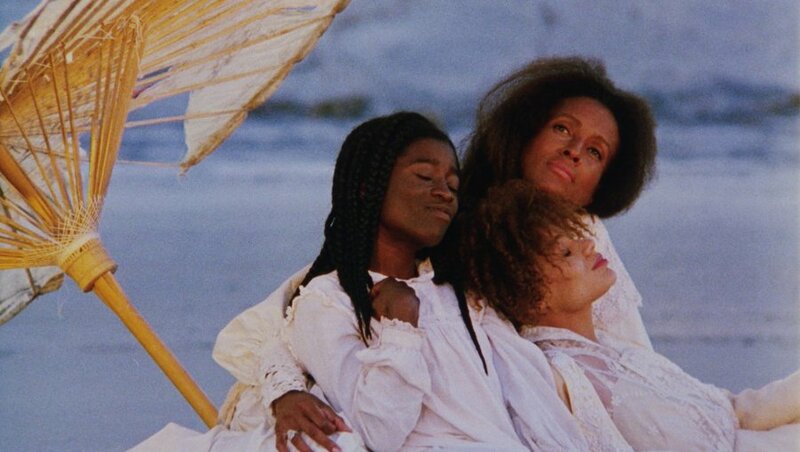 Dash's masterpiece Daughters of the Dust (1991), the first American feature by an African American woman to receive a general theatrical release was named to the National Film Registry by the Library of Congress in 2004. The film announced a formidable talent with its story of an island family, descendants of escaped slaves, living off the Southern coast of the US in 1902. Superb performances, cinematography, music and touches of magical realism, grace this unforgettable film which will screen at Museum of the Moving Image on Wednesday March 15, followed by a conversation with Ms. Dash hosted by a special guest. Later in the festival QWFF will also screen Ms. Dash's remarkable short film Illusions (1982) that takes place in Hollywood during WWII and tells the story of a female studio executive passing for white. The film examines the power of perception and explores the illusions created by Hollywood and the very illusion of racial identity. Born in Long Island City Queens NY, Julie Dash is a filmmaker, music video and commercial director, Author and website creator. Her film studies began in Harlem in 1969 and led her to the American Film Institute and UCLA, where she made The Diary of an African Nun (1977), based on a short story by Alice Walker, which won a student award from the Directors Guild of America. Dash's critically acclaimed short film Illusions (1982) later won the Jury Prize for Best Film of the Decade awarded by the Black Filmmakers Foundation. Her television films include "Love Song" (2000), starring R&B singer Monica Arnold, the romantic thriller "Incognito" (1999), and the domestic drama "Funny Valentines" (1999). Dash was nominated for a Directors Guild Award for "The Rosa Parks Story" (2002) starring Angela Bassett. She has directed music videos for Tony! Toni! Toné!, Keb' Mo', Peabo Bryson, Adriana Evans, Sweet Honey in the Rock and Tracy Chapman.